This has been the worst year for reading, ever. In quantity that is: only a suitcase of books finished, with a communal binful for those abandoned. The reason is the same as four years ago, only worse, and has little to do with the quality of the books. Medical opinion quoted Beckett: nothing to be done. Still, I've never been one to devour books and I maintain a certain amount of disgust for the conveyor belt of recommended reads. In trust I have opened novels much praised by bloggers to sample the first paragraph and invariably it is like walking into soft sand: the sudden dip of the first sentence, the cinematic swoop of graceful atmospherics, the psychic mind-tap of the lead character for some comforting intimacy, and then the drama heavily flagged by the titillating blurb. Trudge, trudge. Only another 400 pages of these thrills to go. Lars Iyer's Wittgenstein Jr and Tao Lin's Taipei stood out as relief from such embedded protocols, both narrating from a position of fascination, uncertainty, weakness, anxiety, horror, even, rather than from confidence borne on generic mastery. So too is Hotel Andromeda by Gabriel Josipovici, and I was disappointed (but not surprised) that it didn't get more reviews. David Winters' superb appreciation made up for their general absence. The reviewer's own new book of essays will be that rare thing in contemporary English literature: a serious non-academic book about fiction. There should be more. The lack of satisfactory novel-reading made 2014 unusual for me in that rather than rush toward the New Atheists' fundamentalism and read books of science and journalism, I began to read German theology. While I am used to what it resembles in continental philosophy, the focus and references in Jürgen Moltmann's The Crucified God (1973) and Karl Barth's Dogmatics in Outline (1946), are alien to someone from an entirely secular background. Despite or because of this foreign nature, it was here that I found the pressure and urgency missing from philosophical procedure and literary criticism, as the actuality, meaning and significance of Christ's execution provided a visceral centre to what might otherwise descend into debates about how many angels can download to a Pinterest account. This means it points toward the necessary direction and purpose of fiction better than most criticism. The Christian faith which once 'conquered the world' must also learn to conquer its own forms when they have become worldly. It can do so only when it breaks down the idols of the Christian West, and, in a reforming and revolutionary way, remembers the 'crucified God'. As these books are not exactly easy to write about, this blog will not be taking an overtly theological turn. Two other works of non-fictional, one new, one 60 years old, have made a huge impression recently and I'll be writing about them next year. But in the meantime, back to what I read last year. 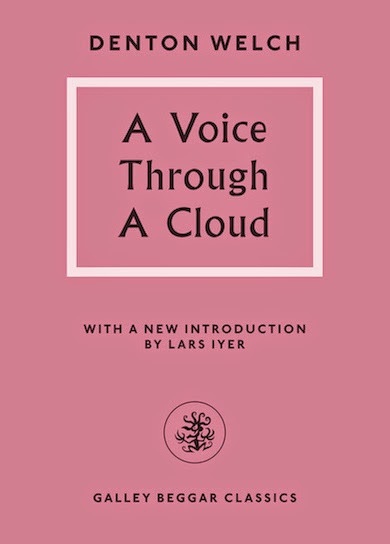 Stepping out of the present once again, I bought Galley Beggar's "Digital Classics" reissue of Denton Welch's A Voice Through a Cloud because it is a memoir of the author's slow recovery from a cycling accident, and I indulged self-pity even if he doesn't. As the world returned to him through a cloud of bedridden pain, Welch's warming "bathetic gloom" – Alan Bennett in a black roll neck – made his condition seem like a necessary correlate to the condition of England in the 1930s, and thereby of our own low, dishonest decade as we appease another fascist putsch, this time in Kiev. Unfortunately that book remains unfinished because a PDF is easily neglected and bookmarks don't easily stick to the screen. Easy to say it is not a great book. But what qualities does it lack? That it adds nothing to one's vision of life, perhaps. Yet it is hard to find a serious flaw. My wonder is that entirely second rate work like this, poured out in profusion by at least 20 people yearly, I suppose, has so much merit. Never reading it, I get into the way of thinking it nonexistent. So it is, speaking with the utmost strictness. That is, it will not exist in 2026; but it has some existence now, which puzzles me a little. 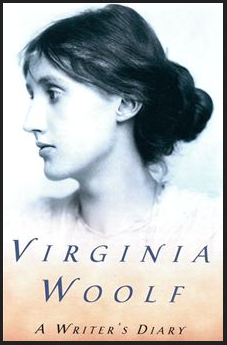 Now Clarissa [Dalloway] bores me; yet I feel this is important. And why? Elsewhere in the diary: "But Lord, how tired one gets of one's own writing."